he dream of regrowing human body parts could become a reality after a major scientific breakthrough. 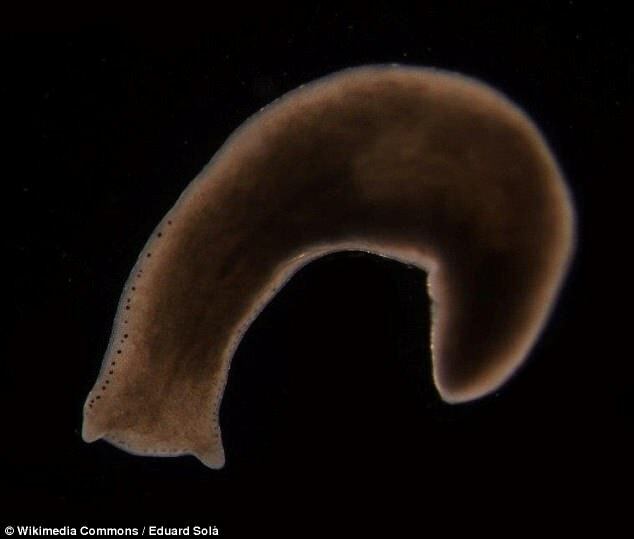 A stem cell has been identified which causes a humble flatworm to regrow a head, brain or other tissue - a breakthrough that has huge potential for people. These range from birth defects and blindness to diabetes, heart disease and cancer. A team of experts from the Stowers Institute for Medical Research in Kansas City, Missouri, found the cell - which can regenerate an entire organism - after pioneering a technique using flow cytometry that scans cells in fast moving blood. 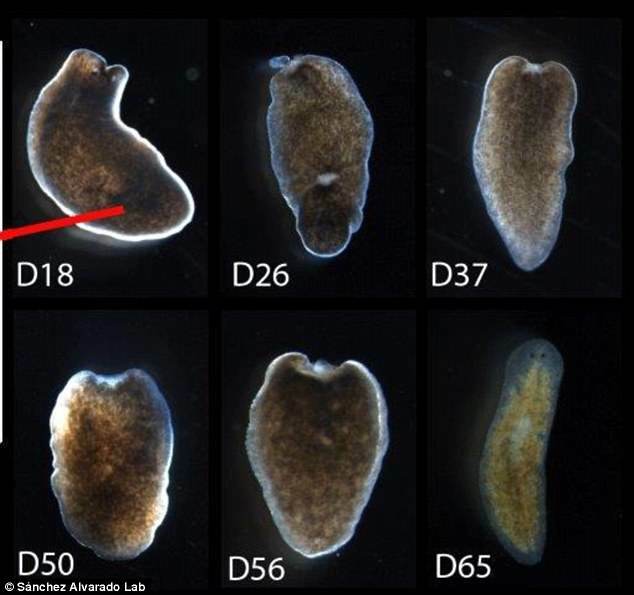 They isolated the amazing cell in the planarian flatworm before it performed its remarkable regenerative act. Some scientists believe the worm, that lives in ponds and lakes, holds the key to immortality. The cell, which has been named Nb2, is a form of adult pluripotent stem cell - unspecialised 'master' cells found in humans that develop into many types of tissue and organs. 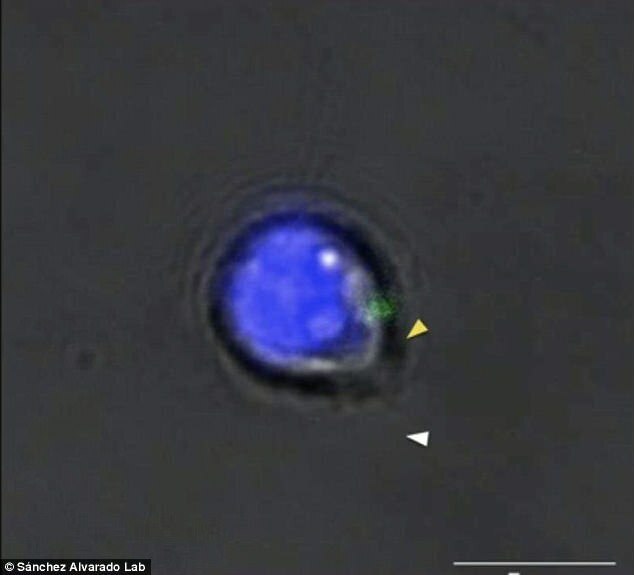 Senior author Professor Alejandro Sanchez Alvarado, a molecular biologist at the Howard Hughes Medical Institute at investigator at the Stowers Institute for Medical Research, Kansas City, said: 'This is the first time an adult pluripotent stem cell has been isolated prospectively. What is more, it was pinpointed thanks to a 'marker', or biological sign, that is also present in humans - a protein known as piwi-1. Professor Sanchez Alvarado added: 'The fact the marker we discovered is expressed not only in planarians but also in humans suggests there are some conserved mechanisms that we can exploit. Scientists don't know why mammals don't have the same ability, but they do regenerate skin, muscle and blood. Each of these cells contains the exact same twisted strands of DNA, and is considered pluripotent - meaning it can give rise to all possible cell types in the body. But somewhere along the way, those starter cells - known as embryonic stem cells - resign themselves to a different fate and become skin cells, heart cells, muscle cells, or another cell type. In humans, no known pluripotent stem cells remain after birth. In planarians, they stick around into adulthood, where they become known as adult pluripotent stem cells or neoblasts. Scientists believe these neoblasts hold the secret to regeneration. Neoblasts have been studied since the late 1800s. But only in the last couple of decades have advanced experimental and molecular techniques discovered there are many varieties, all with different properties and patterns of gene expression. Professor Sanchez Alvarado explained: 'We might have to transplant over a hundred individual cells into as many worms to find one that is truly pluripotent and can regenerate the organism. 'That is a lot of work, just to find the one cell that fits the functional definition of a true neoblast. 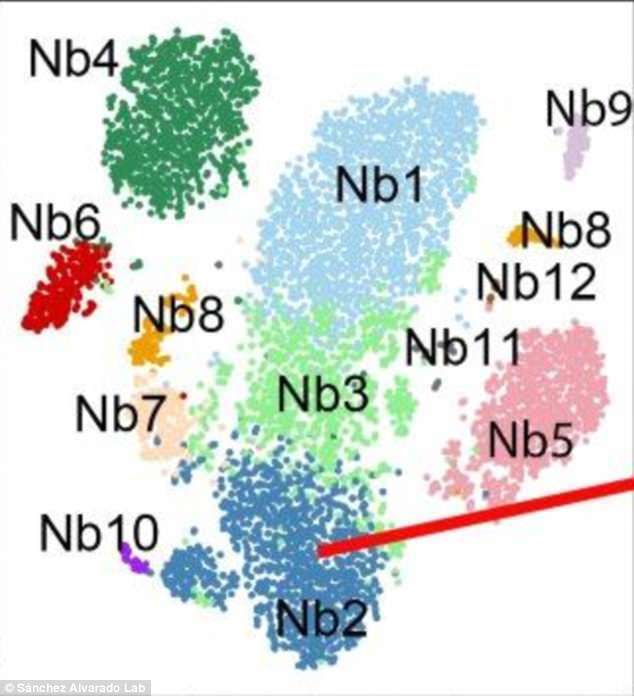 One feature that had long been used to distinguish neoblasts from other cells is piwi-1, so co author Dr An Zeng separated those that expressed this from those that did not. Only those that were high in the protein qualified as neoblasts. Prof Sanchez Alvarado said: 'This kind of simultaneous quantitative analysis of gene expression and protein levels had never been done before in planarians. 'We could not have done it without the amazing scientific support facilities here at Stowers, including molecular biology, flow cytometry, bioinformatics, and imaging groups. Through a process of elimination involving about 8,000 cells rich in piwi-1 - which managed to rule out those destined for a particular fate like muscle or skin - Dr Zeng was left with two types that could still be pluripotent, which he named Nb1 and Nb2. The Nb2 subgroup expressed tetraspanin, a group of evolutionarily ancient and poorly understood proteins that sit on the surface of cells. Stem cells are a basic type of cell that can change into another type of more specialized cell through a process known as differentiation. Think of stem cells as a fresh ball of clay that can be shaped and morphed into any cell in the body. They grow in embryos as embryonic stem cells, used to help the rapidly growing baby form the millions of different cell types it needs to grow before birth. In adults they are used as repair cells, used to replace those we lose through damage or ageing. Stem cells have been the focus of lots of medical research in recent decades because they can be used to grow almost any type of cell. So Dr Zeng made an antibody that could latch onto it, pulling the cells that carried it out of a mixture of other suspected neoblasts. He then transplanted the single purified cell into a planarian that had been subjected to lethal levels of radiation. Not only did these cells repopulate and rescue the irradiated animals, but they did so 14 times more consistently than cells purified by older methods. Previous research by the University of Nottingham has suggested flatworms could live forever after examining their ability to repeatedly regenerate. Six years ago experts created a colony of more than 20,000 flatworms by chopping one into pieces and observing each section grow into a new complete worm. They believe it could help scientists develop new methods to allow humans to stay younger for longer. The full findings were published in the journal Cell.